I like Bernie for many of the same reasons you described. Hope things go well for your primary today. It's so interesting! Which reminds me of the curse: may you live in interesting times. Just voted for Bernie in my Primary in New Jersey. I'm with you on being excited because for once my primary vote will actually be important this year. Usually by time I vote in the primary it's so late that one candidate has already sewn up the nomination. I was proud to cast my vote for Bernie Sanders this morning. And I voted for the down ticket ballots of candidates that supported him! We have been falling behind in so many areas when compared to other countries for a while now. 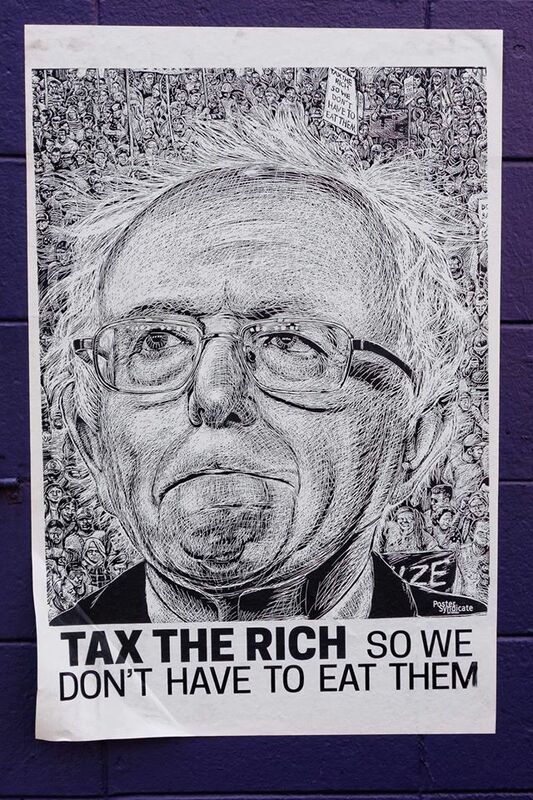 It boggles the mind that the richest country on earth has such poor health care, education, infrastructure etc... Bernie Sanders has been steadfast in his support of issues that mean a great deal to me. Thank you for voting, citizen! I, of course, agree with you on all counts. This is the most unusual election that I can recall, and I avidly follow them all. It really feels like the soul of the nation is going through some kind of crucible. I awfully nice not being a foregone conclusion for a change. The convention is going to be riveting! Do you know if average citizens get into the convention? I'm not a delegate but I really want to attend this convention. Without press or delegate credentials, I highly doubt that a civilian could get into the convention itself. However, there will probably be lots of "off campus" events in town, if you're local. I ran to be a delegate, but it's a very hot ticket this year! There were over 50 women vying for 5 slots in the Bernie caucus. THIS. All of it. Because I too am a feminist who would love to see a female president and if Elizabeth Warren were running... But she isn't and Hilary Clinton is. Hilary Clinton, who once lied to Elizabeth Warren and promised to vote against a bill that made bankruptcy harder for poor people, a bill the bankers and Wall Street loved, only to turn around and vote for it. Make no mistake, if she's ultimately the nominee, I will vote for her, but I will be doing so to vote against Trump. I want a candidate I can vote for and that's why I support Bernie Sanders. I don't know if you've noticed, but I try not to speak ill of people. That said, it's pretty hard to ignore that Hillary inspires a lot of negative feelings, some of them a direct result of actual things she's done or said. How I feel about certain Republicans, millions of people feel about her. I shudder at the idea that the general election will come down to who can inspire the most hate for the other candidate. Is that really what this country is about? Urgh. I must hit the polls and clear my mind. I know and I understand and I would never make personal remarks against her the way so many are doing. It's disgusting. My issues with her are political. I don't give a damn about anything else when I step into the voting booth. I hope I have not upset you in any way, because I respect and admire you and I would never want to distress you. Nope, no distress here! People are absolutely free to express their justifiable anger in this space. There's so much to process in this race. Lots of it is distraction, IMHO, but that doesn't mean the things being said are untrue. I'm not looking forward to the rhetoric of the general election, that's for sure! I am resigned to voting for Hilary to keep Trump out of the Whitehouse. He is terrifying. In the general election? Sure. The most terrifying thing for me about Trump is the people who are buying what he's selling. I think he'll lose, but they will still be there. Are we ever going to stop fighting the Civil War? As soon as Bernie lost the Texas primary the resignation set in so it feels like forever. Are we ever going to stop fighting the Civil War? It doesn't look like it. I am as distressed as you are about the income inequality, lack of universal healthcare, lack of affordable education, big money in politics… all of it. But Bernie has not put forth a plan that I find plausible in today's Congress. The Democrats need to win the presidency and the Senate or, it will be very difficult for anyone to get ANYTHING done. So that's the first goal for me. And weakening an already weak candidate (Hillary) doesn't feel like it gets me closer to that goal. But I applaud you for making a statement. I think the statement the Bernie supporters have made the has definitely been heard, and I think it will have a lasting effect. Meanwhile, I will be voting for the more pragmatic option and hoping she wins, and exceeds our expectations. The composition of the congress definitely needs to change if we are going to have legislative change. We'll see how that goes. It changes every 2 years, one way or another. Bernie has been pretty open about using executive power to set policy, which is really all that either he or Hillary can do with an obstructionist congress in office. Personally, I love Mr. President Obama Sir, but I think he made a serious error by not taking the huge mandate he got originally and implementing much stronger changes, a la FDR. Voters saw that his original message was getting diluted into the usual thin gruel even when he had congress behind him, and stayed home in droves in later elections. Look what that got us. Anything the Bernie supporters say about Hillary cannot possibly compare with the horror she will face in a general election against the Republican machine. If she and the party can't see that, they are very short-sighted indeed. Laying off now will not help her then. If she does get the nomination in July, I'm keeping my fingers crossed that she can overcome the fact that she is widely disliked and not wildly charismatic. It's going to be hard work for all of us. That's why I think that Sanders actually IS the pragmatic choice in this case. Of course, YMMV. THIS! So much This! You put it perfectly - all my hopes, dreams, fears - and current terror. Let's add in one more problem - the world population has tripled in my lifetime, yet automation is making a lot of jobs the modern version of the buggy-whip manufacturers after the cars came along. We have a wealthy class-and we have an excessively large labor class. That's pretty much the recipe for all forms of feudalism. There's no reason for the rich to care if a billion or two poor people starve to death, or die of disease. They have all the labor they need. It's critical at this time that the laborers get power or they will be crushed. The other way of looking at the "excessively large" labor class is that we do not live to serve at the pleasure of the wealthy (whether they see it that way or not) and we can overcome them with sheer numbers. If there isn't enough bread or circuses, we get ornery. 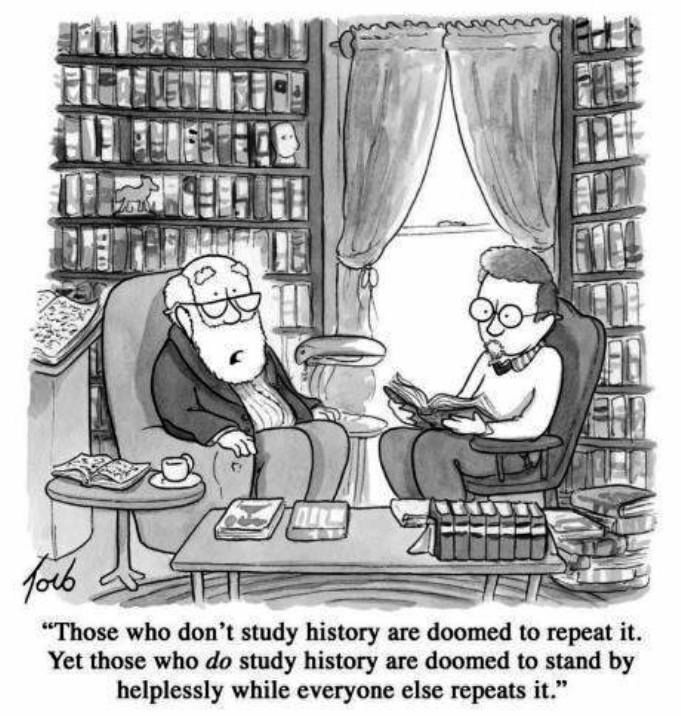 Agreed - but I was talking about history. The feudal system was destroyed by the plague because all those serfs could find other work. This has been a constant throughout history - a sort of human supply and demand. Now - in the US - we have a militarized police force - a population willing to believe lies about class, ethnicity, and race, a media owned by the elite - the narrative writes itself. Look at the reporting about the "riots" caused by Black Lives Matter - riots that never really happened. The scar ting is that so many people will go meekly to the slaughterhouse without even knowing where they are going, and blaming some other poor schmuck. Sander is the only real wake-up call I've seen that has united people and pried open some eyes. Even if Hilary is the candidate - and I will vote for her - Sanders has done more for the US than anyone in decades.